Funeral services for Dr. Sarah Kay Alford Thornhill, 64, of Baton Rouge and Tylertown, were May 24, 2001, at Broadmoor Baptist Church in Baton Rouge..., followed by grave side services at Tylertown Cemetery. 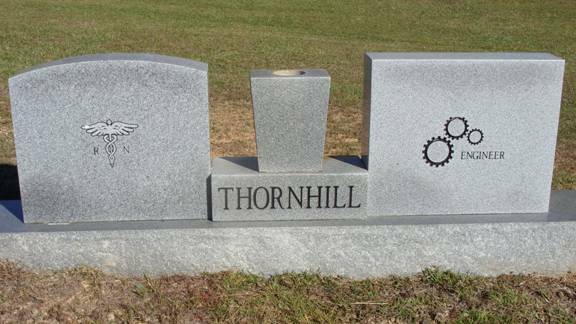 Dr. Thornhill died May 21, at her residence in Baton Rouge. She was born Sept. 30, 1936, at Tylertown, daughter of the late Joseph Hardy and Katherine Kyzar Alford. A brother, William Kyzar Alford, also preceded her in death. She is survived by her husband of 43 years, John W. Thornhill; a daughter and son-in-law, Amy and John Gould of Dallas, Tex. ; one son and daughter-in-law, Gary and Denise Thornhill of Baton Rouge; a sister, Virginia Knippers of Tylertown; a brother, Joe Alford of Jayess; and five grandchildren, Katie, Kara and Kristen Gould, and Elyse and Baylie Thornhill. Dr. Thornhill was the department head of the Baton Rouge Campus of Southeastern University College of Nursing and Health Services. She was a Christian and a member of Broadmoor Baptist Church. “Southeastern has lost a great professional and friend. She was a role model for faculty and aspiring young nurses. She was known nationally and internationally as an authority in nursing education. Dr. Thornhill was scheduled to go to Denmark to make a presentation at the International Council of Nurses. Kay was even more than a great professional. She was an extraordinary lady who positively touched thousands of lives. Southeastern will be forever grateful for her extreme capacity to care for others. We will miss her beyond words,” Sally Clausen, president, Southeastern Louisiana University, said. Dr. Thornhill received her Ph.D. from Louisiana State University in 1991. She was a 1957 graduate of Gilfoy School of Nursing, Mississippi Baptist Hospital; received a Bachelor of Science from the University of Tennessee in nursing in 1974; and a Masters degree in nursing administration from the University of Southern Mississippi in 1978. She was certified by the American Nurse Credentialing Center in Nursing Administration Advanced, Texas A&M Research Center for Distance Learning, Louisiana Board of Secondary and Elementary Schools as a Level A Evaluator, and licensed as a Registered Nurse. She received the Excellence in Leadership Award, Gamma Lambda Chapter, Sigma Theta Tau International, University of Southern Mississippi in 1996, and was named Outstanding Professional Achievement, one of 25 nurses, by the Baton Rouge District Nurses Association in 1994. Since 1995 she was named Program Evaluator for the National League for Nursing Accrediting Commission: National League for Nursing Council of Baccalaureate and Higher Degree Programs. In 1989 she was an invited member of Phi Kappa Phi, and in 1974 she was listed in Who’s Who Among American Colleges and Universities. 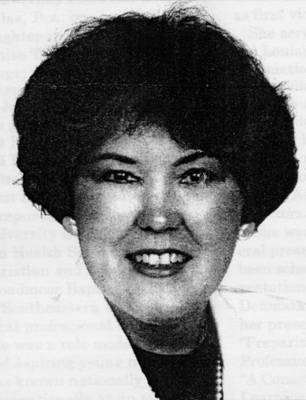 Dr. Thornhill held membership in the Louisiana Organization of Nurse Executives, SLU Honor Society of Nursing, National League for Nursing, Sigma Theta Tau National Honor Nursing Society, Phi Kappa Phi, and the American Nurses Association, serving as Baton Rouge District Nurses Association president from 1997-1999, and two terms as first vice president. 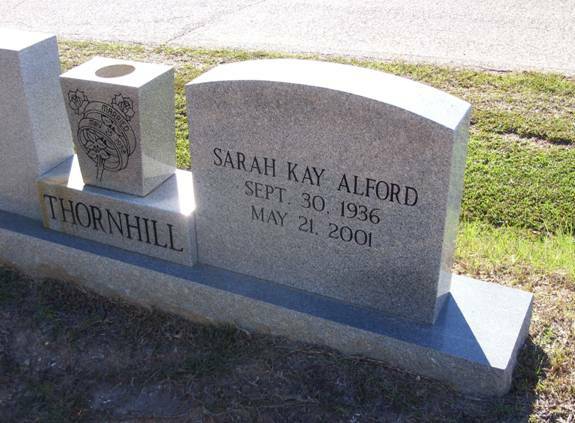 Sarah Kay Thornhill—She served as a member of the Louisiana State Nursing Association Continuing Education Committee, a member of Louisiana Council of Nurse Educators, a member of the SLU Honor Society of Nursing, and was an elected member of the Louisiana State Nurses Association Board of Directors. She was well known for several presentations, and had been scheduled to give two presentations in Copenhagen, Denmark, this month. Among her presentations were “Preparing Graduates for a Professional Nursing Career,” “A Consortium Model: Distance Learning for Graduate Nursing Education,” “The Utilization of a Clinical Practice Critical Thinking Process Model to Improve Professional Nurses Patient Care Interventions and Outcomes,” and “Clinical Practice Incidences Initiating Critical Thinking Processes.” In addition to the Denmark presentations, her presentations had been made to meetings in Nashville, Tenn., Indianapolis, Ind., San Diego, Calif., Baton Rouge and other locations. She was the author of several manuscripts and publications. Dr. Thornhill attended many continuing education programs and was responsible for submitting several grant applications. Memorial donations may be made to Sarah Kay Alford Thornhill Nursing Scholarship, Southeastern Development Foundation, SLU 10450, Hammond, LA 70402. Pallbearers were nephews, Cletus Alford, Jamie Alford, Benji Alford, Brad Alford, Kyzar Alford and Gerald Planche. Burial was in Tylertown Cemetery with Rabenhorst Funeral Home and Capps Funeral Home in charge. She was an exemplary Professional Nurse who came up through the ranks, having earned a Diploma in Nursing, a Bachelor of Science in Nursing, a Master of Science in Nursing and a Ph.D. She assumed many roles through the years including Staff Nurse, faculty member at Our Lady of the Lake School of Nursing, and at Southeastern Louisiana University, Assistant Professor, Associate Professor and Full Professor. She taught both undergraduate and graduate students. In recent years, Kay moved into administration. She served as Director of the Graduate Program in Nursing at Southeastern prior to her most recent appointment as Department Head of Southeastern Louisiana University College of Nursing and Health Sciences, Baton Rouge Campus. Kay was a Visionary-one of the first in the community back in the early 70’s to recognize the need for nurses to pursue advanced education that would improve patient care and advance the profession. She was an innovative teacher...always saw ways to make things better! Kay was very active in her professional organization by assuming leadership roles. For example, she served as Secretary, Second Vice President and President of the Baton Rouge District Nurses Association. She has distinguished herself by receiving numerous awards from the University as well as professional Organizations. In 1994 she received recognition as an Outstanding Nurse, an award presented by peers. She was a long-term member of Sigma Theta Tau, National Honor Society in Nursing. She was also involved in writing grant proposals and was successful in obtaining funding to accomplish things like Distance Learning for Graduate Nurses in the state and region. Kay is also remembered for her appreciation of history. It is said that her appreciation of the past helped with her acquisition of a Commemorative Nursing Art Collection that will be enjoyed by many for years to come at Southeastern Louisiana University, College of Nursing. Perhaps this appreciation for the past helped her to be the visionary that she was. She frequently reminded the faculty to “Look at the Big Picture.” Through her leadership role and innovation, she guided the faculty in developing a new curriculum. She was a respected evaluator with the National League for Nursing Accrediting Commission. In this role she participated in the evaluation of the quality of education in other nursing programs throughout the country. In summary, she was described as the Epitome of Professionalism...a very caring person...a mentor for many over the past several years. So while we grieve at our loss, it is comforting to me to visualize Kay in her new home. AAFA NOTES: SSDI records confirm the birth and death dates Sarah A. Thornhill (SS# issued in MS), last residence not listed. We included the obituaries of her brothers Joseph Hardie Alford Jr. and William Kyzar Alford; and aunt Letha Alford Sims in Mississippi Obituaries. Thomas Lafayette Alford was born 15 Dec 1870 in Pike Co., MS, and died there on 28 July 1910; Lillie died on 6 July 1915 in Walthall Co., MS. [Ancestry.com and RootsWeb.com]. In 1900 the family is listed in Beat 2, Pike Co., MS, dwelling #169: Thomas L. Alford, no occupation, age 29 b. Dec 1870, m. 2 years; his wife Lillie E. 22 b. Nov 1877, 1 child, 1 living; son Auther L. age 0 b. Sept 1899; and mother Statia P. Alford 65 widow b. June 1835. All and their parents were born in MS. Nearby are several Rushing families. In 1910 they are still in Beat 2, Pike Co., dwelling #52: Tom Alford, farmer age 39, m. 11 years; his wife Lillie 32, 5 children, 4 living; 4 children including Letha 5; and mother Scirtia 74 widow. All and their parents were born in MS. Again, several Rushing families are nearby. In 1920 Tom and Lillie Alford are deceased, so the children are living together in Beat 4, Walthall Co., MS, dwelling #11: Author Alford, farmer age 20; his brother Hardy 19; and sisters Lucy 17 and Letha 15. All and their parents were b. in MS. In 1920 Statira Alford, widow age 84 b. MS, is living with the family of her son B.F. Brumfield in Tylertown, Walthall Co., MS.
AAFA records show Thomas’s mother as Statira Lennon. In 1850 she is age 15, living with her probable mother, Lucinda Lennon, in Pike Co., MS. In 1860 they are still Pike Co., but Statira must have married a Brumfield shortly after the 1850 census: Statira P. Brumfield, 25; Benjamin F. 8; Joseph J. 5; and Lucinda Lennon 46. All were b. in MS. In 1870 this same family group in still in Pike Co., but Statira is now Statira Alford, married in Feb. In 1880 they are still in Pike Co.: Statira P. Allford, age 45 widow; son _____ Brumfield 25; and son Thomas L. Allford 9. All and their parents were b. in MS.
She is listed in the Walthall Co., MS published cemetery book as Statira L. Brumfield Alford 1835-1918. However, Statira is living in 1920, listed on the census with her son Benjamin. The cemetery book also has: “Mother of Statira L. Brumfield Alford” with no dates. Her sons Thomas Lafayette Alford and Benjamin F. Brumfield are also buried in the cemetery. For further information on this family, see Descendants of Jacob Alford, b. 1761 NC. Kay’s lineage: Sarah Kay 1936 MS1, Joseph Hardie 1901 MS2, Thomas Lafayette 1870 MS3, Sebastian 1831 MS4, William 1804 GA5, Jacob 1761 NC6, Julius 1717 VA7, James 1687 VA8, John 1645 VA9.